In order to facilitate the collection of your Electronics Waste, we offer Free Electronics Recycling Events for property managers and their tenants. 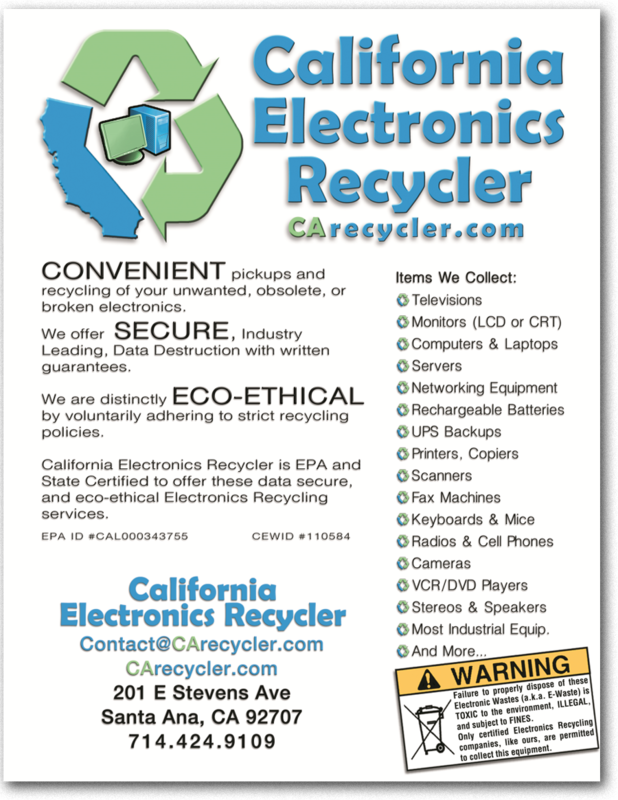 As a social and business responsibility, instead of illegaly throwing away electronics in your dumpsters, or storing them in valuable office space, we can help you schedule an electronics recycling event on your property to dispose of these unwanted electronics. We will place signs around your property to advertise your event and give you fliers to distribute to the tenants. On the day of the event we will bring one of our trucks and several collection bins to your properties. Our staff will be on-site to help make the process go quickly and efficiently. After the event we will pack up the electronics and take them to our recycling facility and send you a receipt of the collection for your own record. Data-Destruction is ensured through a reputable company. You can avoid the liability of fines and remove hazards arising from improper storage or breakage. You can protect the environment by making certain the equipment is not thrown in the trash. Our team of professional recyclers can help answer any questions. We help property managers attain or maintain their LEED (Leadership in Energy and Environmental Design) certification. Recycling makes you feel good.